The hills are green and the flowers are still blooming. This one is fit beginner friendly. There are several junctions and we will stop to regroup so no one gets left behind. Please read the stats. Best to park outside the gate on the street in case we get back after sunset. We’ll start on E Las Virgenes Canyon Road and take a side trip to Lasky Mesa. Take Crummer Ranch Road to another portion of E Las Virgenes to complete the loop. From the 101, take the Valley Circle Boulevard exit and head north for 2.1 miles. Take a left onto Victory Boulevard. 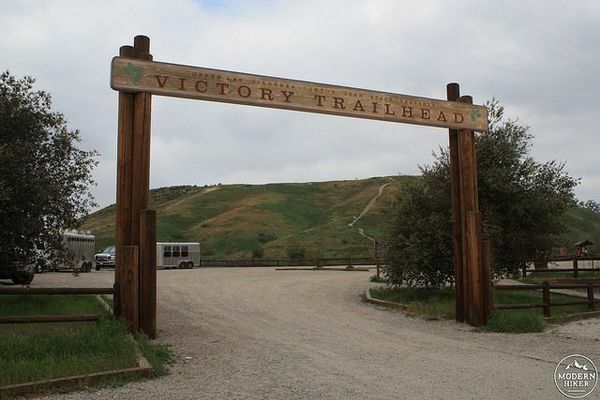 The Victory Trailhead will be at the end of the street. From the 118, exit south on Topanga Canyon. Turn right, heading west, on Victory Boulevard and drive all the way to the end.